In its claim of responsibility, the Islamic State group said its fighters had killed seven guards but the militant group often exaggerates its claims on the number of casualties inflicted. The ISIS attack likely meant to distract attention from the militants’ massive losses in Iraq and Syria in recent weeks. Also, ISIS said only two of its followers were involved in the attack, not four as Kabul officials said, adding to the conflicting reports. It wasn’t until the attack ended that both the embassy and the interior ministry realized two of their Afghan staff had died in the daring assault. 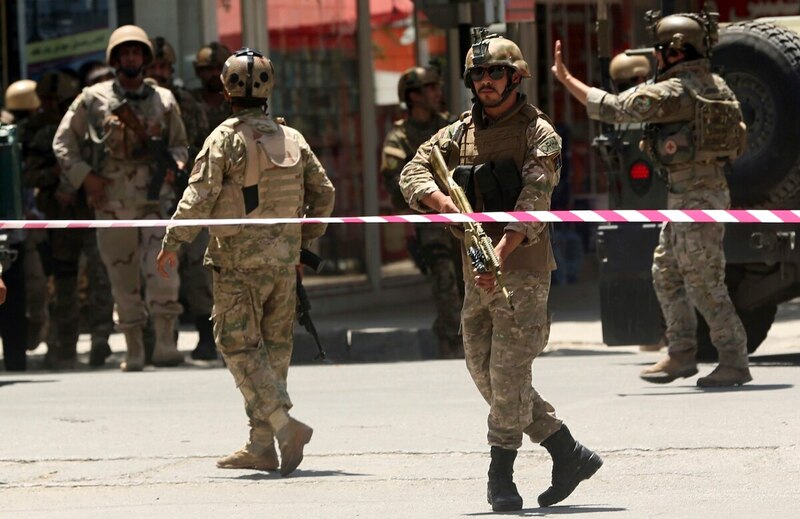 Afghan President Ashraf Ghani condemned the attack and said it was the government’s responsibility to provide protection to international missions. While the attack was still underway, the Islamic State affiliate in Afghanistan claimed responsibility in a statement carried by the ISIS-linked Aamaq news agency. More than an hour into the attack, witnesses reported hearing another powerful explosion and said they saw black smoke billowing skyward. It wasn’t immediately clear what had caused the later explosion.